Home/Solar Panels/Can Solar Panels Increase the Value of My Home? It isn’t a surprise that many homeowners wonder whether those large black panels are going to add or detract from their home’s overall value. After all, some people feel that the panels are unsightly, require too much work, and simply don’t produce a great return for the money that was invested in them. If you aren’t planning to remain in your house for the next twenty to thirty years, you might wonder what installing these panels will do to the overall value of your property. The truth is that installing solar panels actually does increase the overall value of your home. Studies are showing that the amount you earn on the increased value could seriously offset the initial installation costs from your solar panels. According to some sources, it increased the value of the home by roughly 3.5 percent. This adds up to a significant source of added value, depending on how much your home was previously worth. Other sources conclude that adding solar panels to your home should result in a price that is roughly $6,000 higher per kilowatt. Both of these numbers indicate that there is a lot of value to be had for solar panel installation on your home. However, that isn’t the only benefit that you’re likely to see with solar panels when you attempt to sell your home on today’s real estate market. Your home is likely to sell for more money and to sell faster as a direct result of your home improvements. 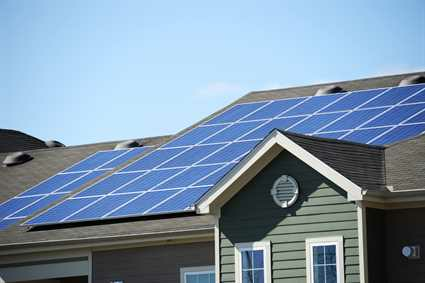 Solar panel installation is a huge marketing feature that not many homes will have yet. This gives you an opportunity to set your listing apart from all of the others and highlight the savings that the new owners will experience on their monthly utility bill for years to come. Many new home buyers are interested in purchasing a home that will be great for them in the long run. They are extremely interested in going green in as many ways as possible but purchasing a home with the updates already installed saves them both time and money. You can advertise the fact that your home not only costs less to maintain, but it is also better for the environment. In some areas, you might even be able to tell prospective buyers that their solar panels actually yield a substantial source of income. Given that you are saving hundreds on your monthly electric bill, you might also be feeding back into the grid for real income on a monthly basis. This is a major selling feature that you and your real estate agent can promote on your listing. If you’ve been holding off on your solar panel installation because you’re afraid it won’t pay off, think again. The reality is that solar panels can actually boost the value of your home and help it to sell faster than other comparable properties. Be sure to give Powertec Solar a call to discuss your rooftop solar systems installation today!